Step 1: Log into your CORE Client Profile via one of the following links below. Step 2: Scroll over the "Services" tab and click on "SSL Certificates." 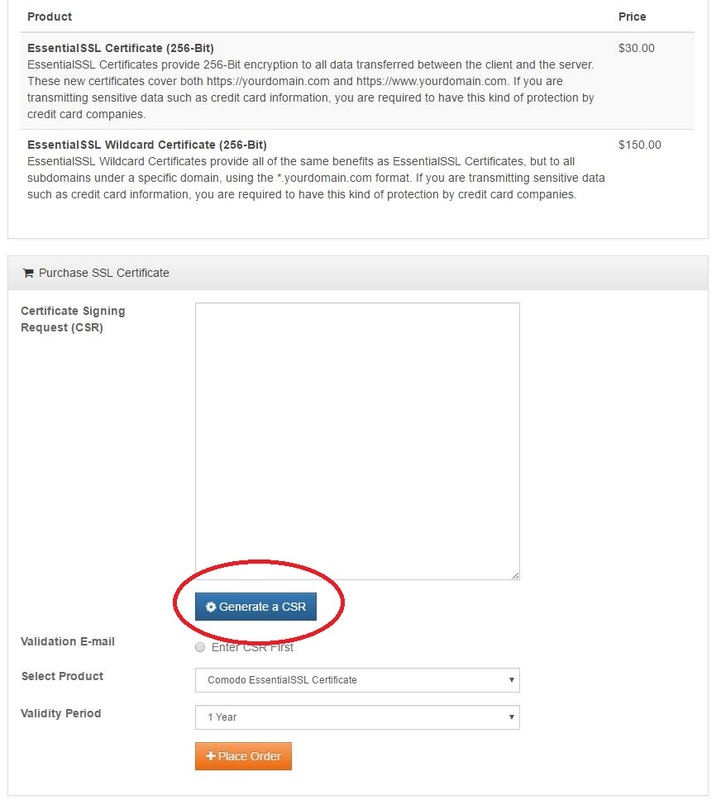 Click on "Purchase or Renew a Certificate." Please Note: If you are planning to purchase and install an SSL certificate on your website, and you are utilizing either a Business Hosting, Reseller Hosting, or a VPS or Dedicated/Colocated Server that is not SNI compatible, the domain must be on a dedicated IP address. 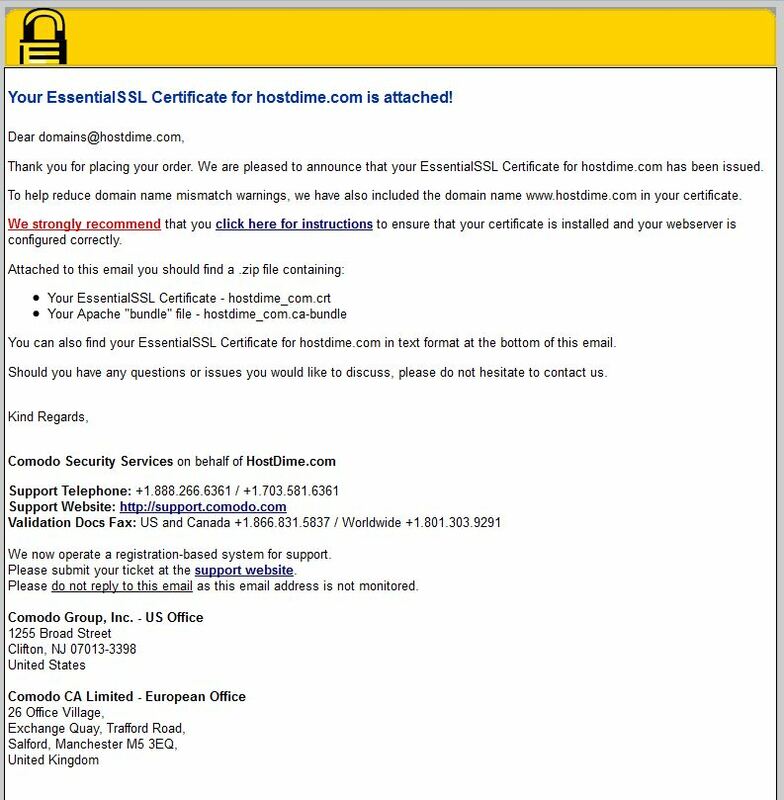 If it is not already and you are out of free IP addresses to use please make sure you contact our Sales Team before installing the certificate so you can purchase a dedicated IP address from us. If you are in any way unsure regarding whether or not you require a dedicated IP, please feel free to Contact our Support Team for further clarification. 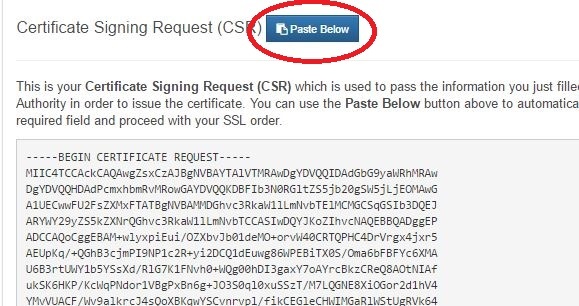 Step 3: Generate a Certificate Signing Request (CSR). 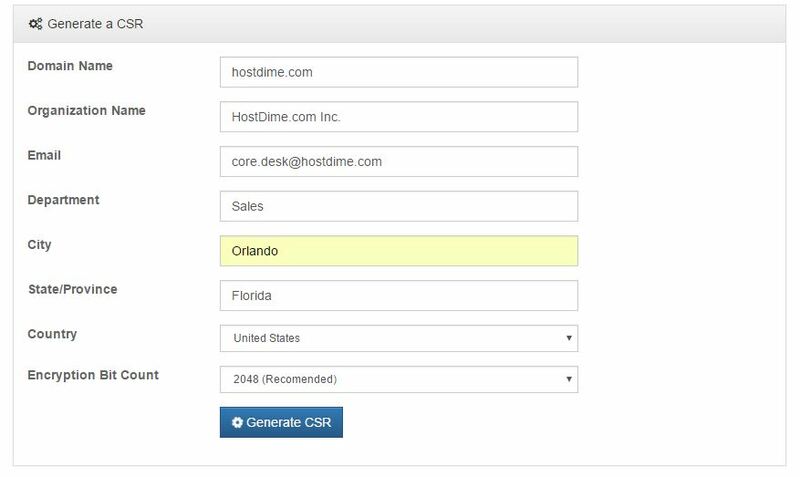 Otherwise, continue these steps inside of CORE using our built-in CSR generator. NOTE: Inside of the CSR generator, you MUST fill in each box. If any boxes are left blank, there will be an error. Step 4: Copy and Paste the RSA Private Key into a .txt file. Save it to a local machine. 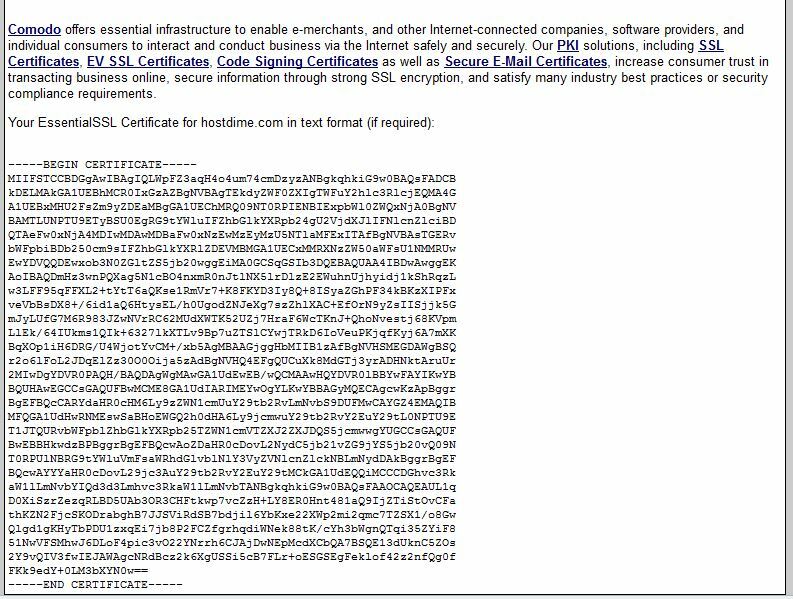 You will need this later for the SSL installation. 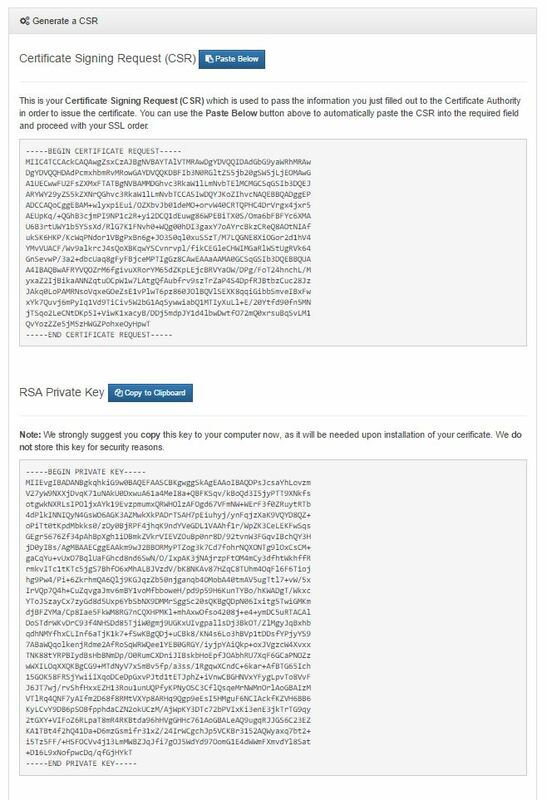 NOTE: It is important you copy/paste everything within this box from "- - - - -BEGIN PRIVATE KEY- - - - -" all the way down to "- - - - -END PRIVATE KEY- - - - -"
Step 5: Do not move on to this step until you copy/paste the RSA PRIVATE KEY in a safe place. Click the BLUE "Paste Below" button next to your CSR to start purchasing the order. The CSR will populate for you below. TIP: Whitelist noreply_support@comodo.com and add @comodo.com and @comodogroup.com to the list of authorized addresses so that Comodo's emails are not blocked. Step 7: Select the SSL type you want from the drop-down and then select the number of years. The maximum is 2 years. 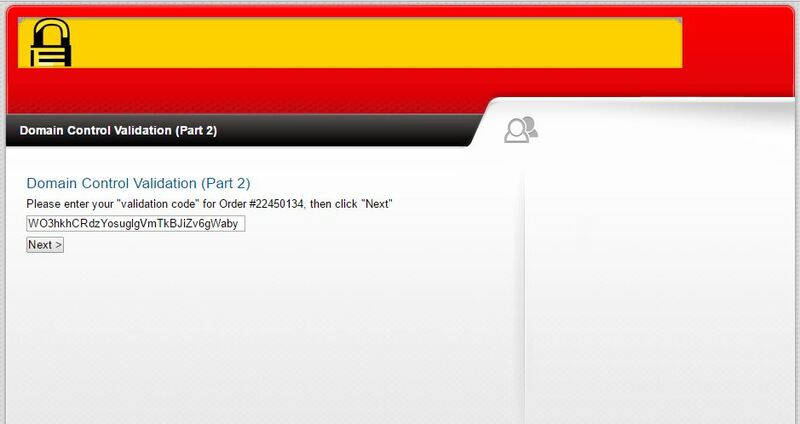 Step 8: Click "Place Order." 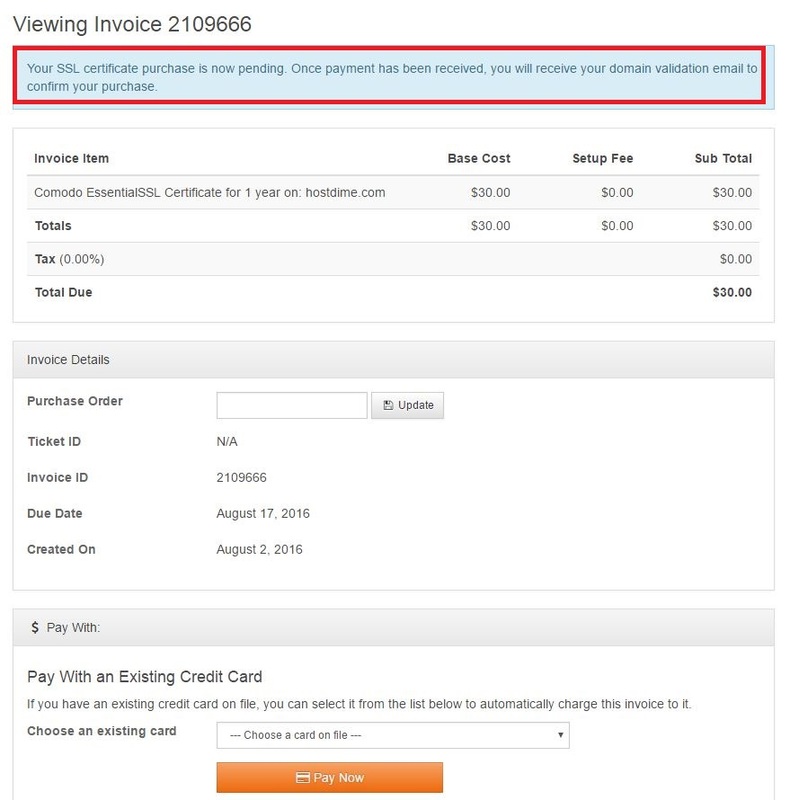 An invoice and an addon will be created under your account. The addon will have a status of pending. 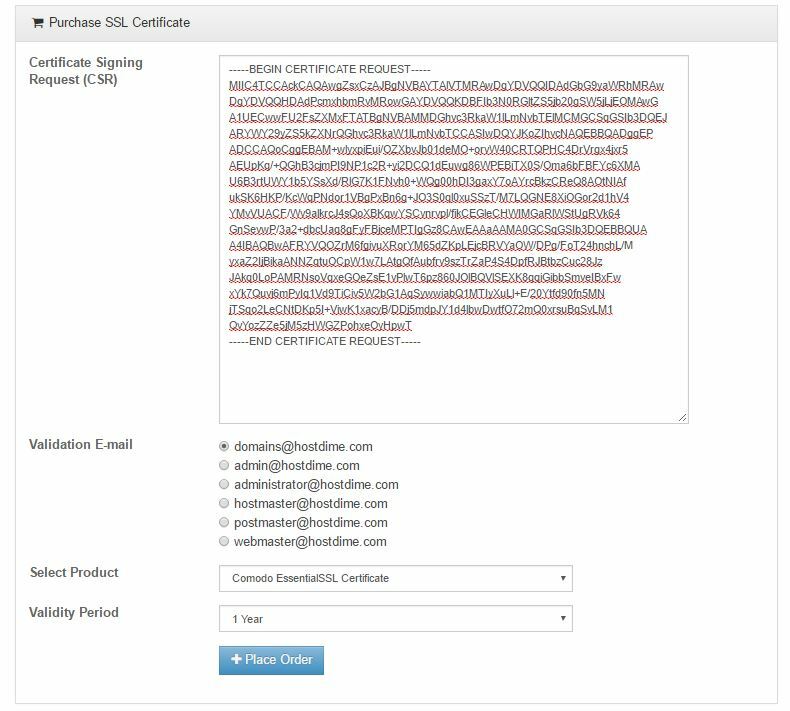 Step 9: Once payment is made, keep an eye for the order validation email to arrive at the address you chose when you placed your SSL order. 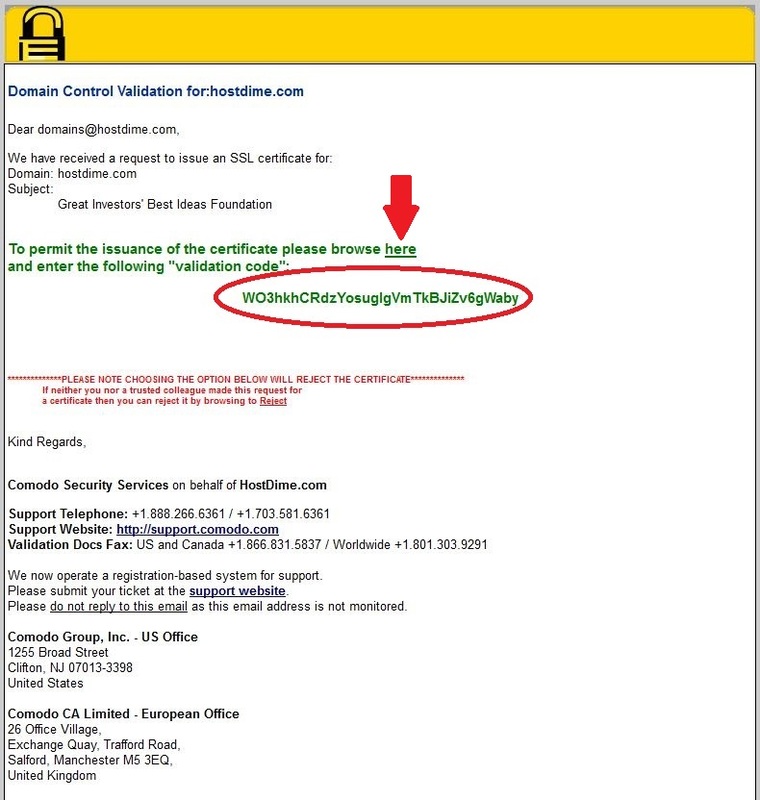 Step 10: Copy/paste the validation code (circled in red) into the "here" link provided in the email. Make sure you unzip and save the files attached. Step 13: If you created a temporary validation email address, you may now remove it or leave it active for the renewal process next year.